It is believed that the craft emerged during the construction of temples and converted into hereditary craft for some families. 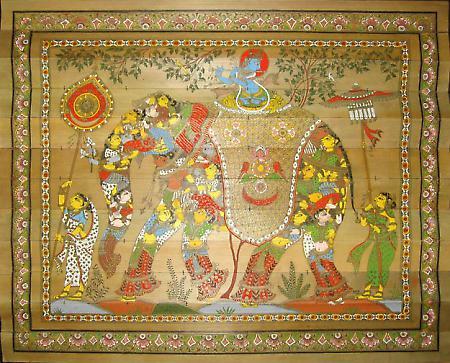 Raghurajpura is famous for the artists belonging to this craft. Great or the well known tales are etched on palm leaf bearing in mind all ethics of craft and mythology.